Named after the Cross Crusade race in Portland Oregon, USA, Clement’s Crusade PDX (the Portland airport code) is an all-around performer with a particular love for mud. The centre knobs are aligned to give you a fast roll on hard pack and pavement. Side knobs offer superior edge control so your bike stays under you in tight turns and the leading edge of the knob gives you extra traction coming out of corners. 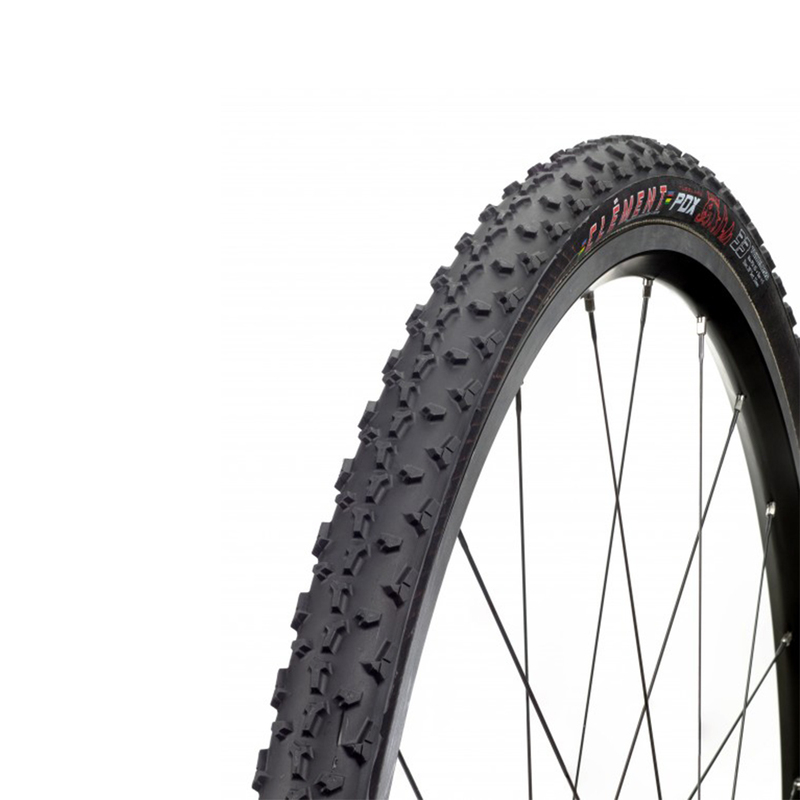 Since its introduction in 2010, the PDX has quickly become one of the most popular cross clincher tyres on the market. Excellent tyre for racing cyclocross. Best used with latex inner tubes for superb grip in typical UK mud conditions. More grip than say, a Grifo, but not quite Limus level. Clears well too. A great all round tyre for northern UK conditions.